In 1914 the epiphany that awoke the world's imagination to the battered yet tumultuous city of Dublin, her streets, and her people, was a modest book of short stories that would become a defining Irish classic, James Joyce's Dubliners. 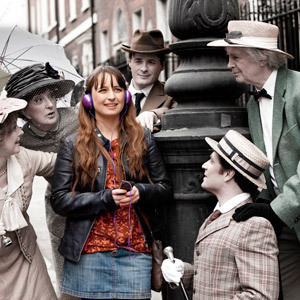 Wonderland Productions' Dubliners is a self-guided audio-walking tour on headphones that invites you to tour the streets and historic buildings in which Joyce set his classic stories, whilst you listen to his stories in situ, as they are told and performed for you on headphones by a large ensemble cast led by the celebrated Joycean actor Barry McGovern. Buy our new 3CD-set online instantly on iTunes. Running time: approximately 2-2.5 hours on foot, including 4 stories and 11 extra features! Shorter route and story suggestions are available on the day. Click to download full details and your map! Tickets €8/6 concession, book online here. Running time: 4-5 hours to complete on foot, with three pub-based story stops, including 7 stories and 17 extra features! Shorter route and story suggestions, from 2-4 hours are available. Tickets €12/10 concession, book online here. Running time: 8-10 hours to complete mostly on foot, with 4 pub based story stops. Includes 10 stories and 22 extra features! Shorter route and story suggestions from 5-8 hours are available. Tickets €19/17 concession, book online here. Wonderland run the following events for the annual Bloomsweek Festival in June. Subject to a minimum group size they may also be arranged with Alice Coghlan year round - please email alice[at]wonderlandtheatre.com. Dubliners by bike, a guided bike tour. Chapters Bookstore, Ivy Exchange, Parnell Street, Dublin 1 or phone 01 8723297 / 8792700. Mon - Sat: audio-walks run daily from 10am - 5pm. Sun & Bank Hols: audio-walks run daily from 12pm - 5pm. "I've lived here all my life but today I saw my city with new eyes, as Joyce's Dublin came to life in the streets all around me"
"Evocative, atmospheric and wonderfully emotional. Sitting at the candlelit dining table... with the ghosts of Joyce's characters hovering all around me... I almost felt I could see their faces"
"I'm transported to a different world. Flickering all around me, in this other universe, are the sounds of James Joyce's Dublin, from church bells to Victorian parlour songs. And inside my head are the rhythms and cadences of Joyce's Dubliners.... you're listening to beautifully written, beautifully performed stories through headphones... Layers of history peel away from buildings as you pass. The overwhelming impression left by this tour is one of pulsating life. It's a joyous celebration not just of Joyce but of parts of Dublin that many natives, never mind tourists, rarely see...Joyce would love it." - Arminta Wallace, Irish Times. "...a terrific idea, well executed." "The tour is extremely impressive... A tiny little mp3 player holds some beautiful recordings of these fabulous stories. 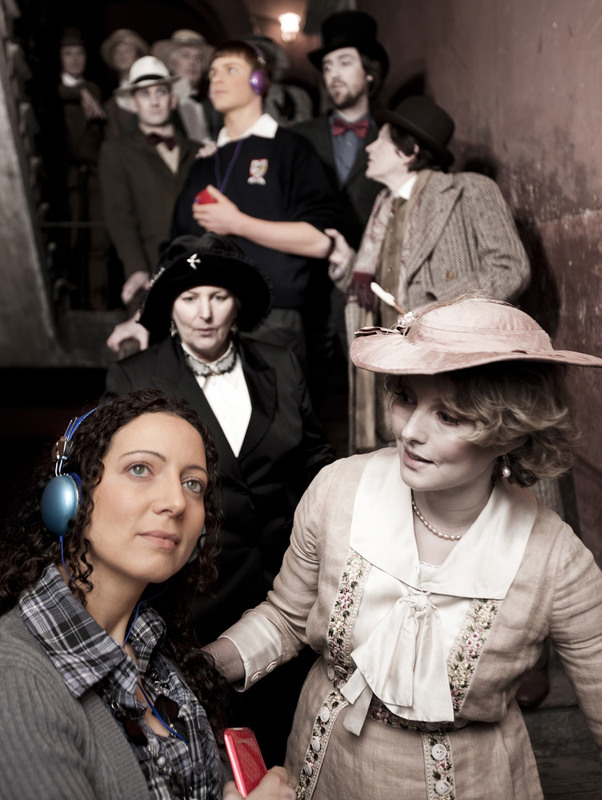 Slipping on your headphones and heading out onto these historical streets, you are immersed deep into each story..."
"a quality piece of work, and a real addition to the city's Joycean scene. 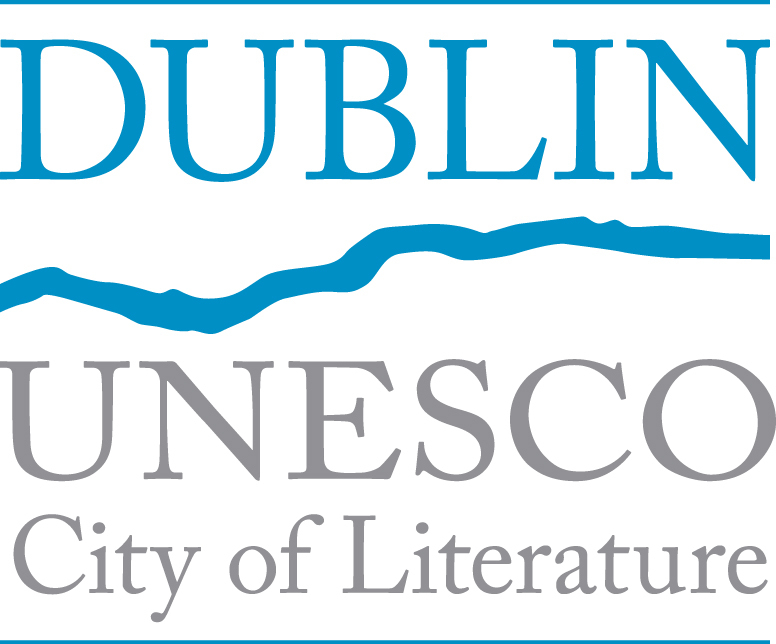 Both as a way to see Dublin with fresh eyes and as an enjoyable recounting of the stories from Dubliners, this is a winner." Amy Therese Flood, Nora Keneghan, Sarah Bradley, Ruaidhrí Ó Murchadha, Aela O'Flynn and Steve Wilson.